Professor Okeke is a Distinguished Research Professor of Industrial and Environmental Microbiology, in the Department of Biology. His research interests include: biofuel and co-products, biosensors, bioremediation, enzyme biotechnology, effects of pollutants on microbial communities, indicators of microbiological safety of water and food, and genetic engineering of microbes. He teaches industrial microbiology, environmental microbiology, general microbiology and directed research. 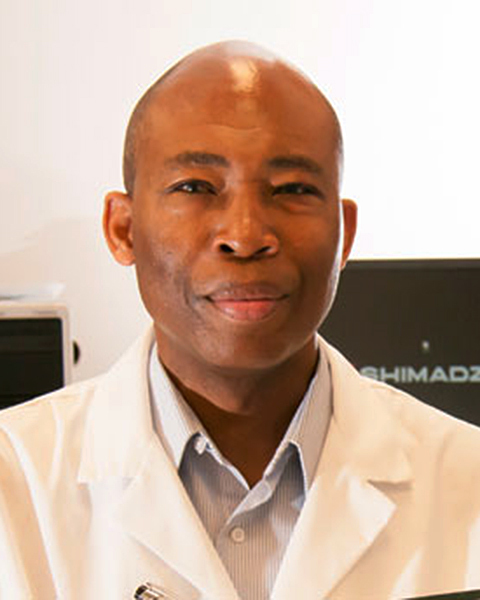 Professor Okeke did postdoctoral work at the University of California, Riverside; Gifu University, Japan; and the International Center for Genetic Engineering and Biotechnology, Trieste, Italy. Dr. Okeke has 60 research papers in peer reviewed journals, two US patents, numerous conference abstracts and several research grants including a million dollar grant for research on fuel ethanol from biomass. He is a winner of the Ida Belle Young Endowed Professorship award and the founding Director of the Bioprocessing and Biofuel Research Lab (BBRL).